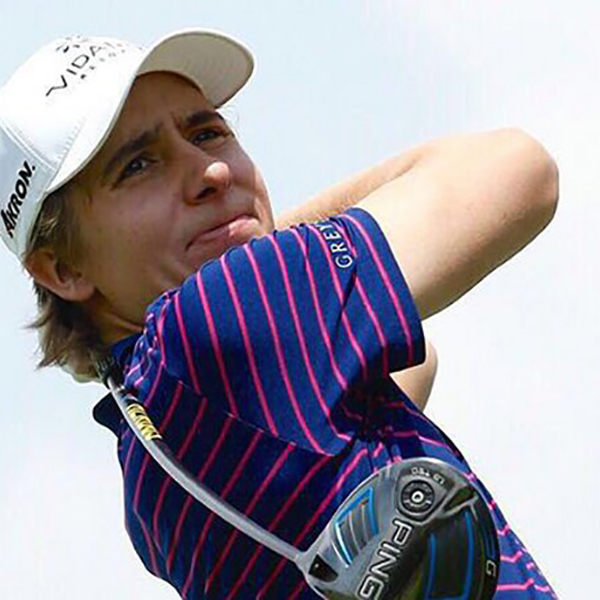 June 1, 2017 — Carlos Ortiz, Mexican PGA player and Vidanta Golf Ambassador, earned first place in the opening round of the Greg Norman Academy Professional Golf Tour at a recognized Golf course in Mexico City over the weekend, May 24-28. Sponsored by Grupo Vidanta, Mexico and Latin America’s leading resort and touristic infrastructure developer, the Greg Norman Academy of Professional Golf Tour is a ten-part series played across Mexico attracting the region’s top talent. Ortiz led the board throughout the competition against over 80 golfers, finishing with an impressive score after 54 holes on the challenging par 72 course to earn first place and secure his first-ever win at home in Mexico. Ortiz added 202 strokes (-14) and surpassed Armando Villareal by five (-9) to victory. Juan Pablo Hernandez (-6) earned third, while Oscar Serna (-5) finished in fourth. Alfredo Castillo, director of the CONADE (National Commission of Physical Culture and Sports), presented Ortiz with the award. Grupo Vidanta will play host to the tenth and final round of the tour in March 2018. The final location – one of six courses located in some of the country’s top tourist destinations and designed by some of the sport’s top names – is yet to be announced. Grupo Vidanta recently celebrated the opening of the Norman Signature Golf Course at Vidanta Nuevo Vallarta. This stunning new layout offers Paspalum fairways from end to end and winds along the Ameca River, making it a truly unique course that spans two states, Jalisco and Nayarit. The Greg Norman Academy Professional Golf Tour sponsorship represents Vidanta Golf’s continued dedication to elevating the golf offerings in Mexico and spreading the popularity of the world’s most elegant sport throughout the region.